Please allow two weeks for return of your serviced product. You may also return products needing service to the original place of purchase. Your ADC dealer will either service the product or return to ADC on your behalf . 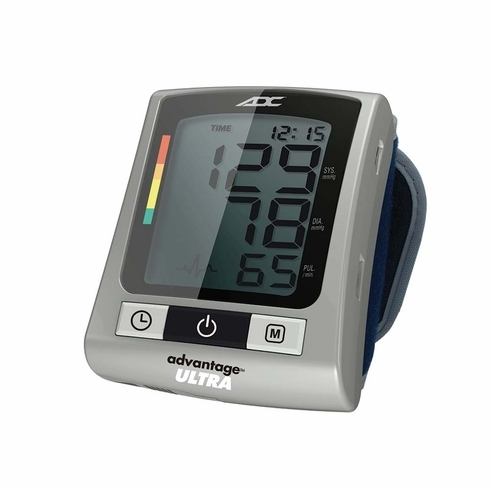 ADC will provide repair services for mercurial sphygmomanometers that are in OR out of warranty. These devices must be carefully packed to ensure that they do not leak during transit. Failure to follow the instructions included in this section may result in mercury leakage. The shipper may be held legally responsible for any clean-up costs associated with spilled mercury. Remove the inflation system, basket(s), rod, and base from all mercurial units before packing. If you need any of these parts repaired, send them separately WITHOUT the mercurial manometer. (i.e. : only send the mercurial manometer if it needs repair) Put ONE mercurial manometer in a polybag and seal it with a twist tie or rubber band closure. Wrap bubble wrap around the mercurial manometer and secure it with adhesive tape. This will help prevent the port connector from puncturing the outer polybag. Enclose the wrapped mercurial manometer in another polybag. Seal the polybag with another twist tie or rubber band closure. Place the double polybagged and wrapped unit inside the packing case or inner carton. Arrange some cushioning bags or more bubble wrap around the mercurial manometer to protect it from excessive shifting. If you are returning two or three mercurial manometers for repair, repeat steps 1-6 as necessary. We suggest packaging each of the mercurial units in separate inner cartons that can fit into the packing case. DO NOT PACK MORE THAN THREE MERCURIAL MANOMETERS IN A SINGLE OUTER CARTON. QUANTITIES GREATER THAN THREE MANOMETERS ARE CONSIDERED HAZARDOUS MATERIALS AND REQUIRE SPECIAL SHIPPING LABELS AND PACKAGING. Ship all mercurial repairs via UPS Prepaid Ground Service ONLY. No other carriers are authorized for safe return of mercury instruments.